While there is an accepted protocol for diagnosing of multiple sclerosis there is no single test at this point in time that is perfect every time. 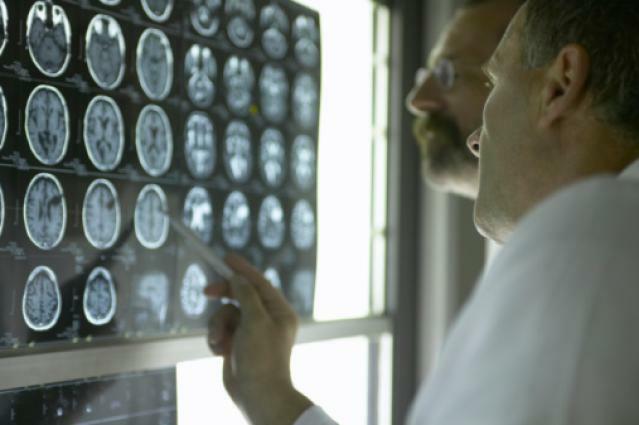 Diagnosing MS can be difficult, a neurologist will perform several tests and evaluate the results. As many as 10% of people today are still misdiagnosed with the disease. A neurologist will perform a standard neurological examination to assist in evaluating movement and coordination functions, vision impairments, balance, speech function, muscle strength and other symptomatic criteria. A blood test may be ordered. The blood test cannot positively diagnose multiple sclerosis the results are valuable however towards ruling out numerous other diseases where some symptoms mimic many of those found in MS. The family medical history will be discussed and it is important to be completely open about this aspect of diagnosing MS. While MS is not considered hereditary there are cases of MS where parents and their children do have the disease. The family medical history discussion can also help rule out other conditions that seem to mimic some multiple sclerosis symptoms. Evoked potential (EP) studies are electrical activity tests that assist in determining a person’s nerve pathways are properly functioning. Signals are sent through the nervous system, visual, auditory (sound) and lastly hands and/or feet. The speed by which signals inputs are stimulated and the received is monitored along neurological pathways. Where damage has occurred due to demyelination the signals slow down. Evoked potentials tests help to differentiate whether symptoms are neurological or not. Evoked potentials helps identify if a demyelinating event appears to have occurred and can locate deficits that the neurological examination did not. Evoked potentials studies involve three major tests that measure response to visual, auditory, and electrical stimuli. Visual evoked response (VER) test. This test can diagnose problems with the optic nerves that affect sight. Electrodes are placed along your scalp and the electrical signals are recorded as you watch a checkerboard pattern flash for several minutes on a screen. Brainstem auditory evoked response (BAER) test. This test can diagnose hearing ability and can point to possible brainstem tumors or multiple sclerosis. Electrodes are placed on your scalp and earlobes and auditory stimuli, such as clicking noises and tones, are delivered to one ear. Somatosensory evoked response (SSER) test. This test can detect problems with the spinal cord as well as numbness and weakness of the extremities. For this test, electrodes are attached to your wrist, the back of your knee, or other locations. A mild electrical stimulus is applied through the electrodes. Electrodes on your scalp then determine the amount of time it takes for the current to travel along the nerves to the brain. Presently only the VEP testing is used in diagnosing multiple sclerosis as it has shown to be useful. VEP can display damage along the optic nerves which is quite common in multiple sclerosis however other disorders or conditions can also result in this. The current diagnostic criteria for MS consider only VEP findings because this particular EP study has been shown to be the most useful. The VEP is used to identify impaired transmission along the optic nerve pathways, which is a fairly common early finding in MS, even in someone who has never been aware of any visual symptoms. Information that evoked potentials tests provide needs to be considered along with other laboratory and clinical information before a diagnosis of MS can be made. Cerebrospinal fluid (CSF), is a clear, colorless liquid that fills and surrounds the brain and spinal cord it provides a mechanical barrier against shock. The cerebrospinal fluid supports the brain and provides lubrication between surrounding bones and the brain and spinal cord. A lumbar puncture also known as a “spinal tap” reveals a large number of immunoglobulins (antibodies) as well as oligoclonal bands (the pattern of immunoglobulins on a more specific test) or certain proteins that are the breakdown products of myelin is suggestive of MS. These findings indicate an abnormal autoimmune response within the brain and spinal cord, meaning that the body is attacking itself. Over 90% of people with MS have oligoclonal bands in their CSF. While increased immunoglobulin in the CSF and oligoclonal bands are seen in many other brain and spinal cord conditions, their presence is often useful in helping to establish a diagnosis of MS. However, a “negative” spinal tap does not rule out MS or other diseases; some 5% to 10% of people with MS never show CSF abnormalities. And, an abnormal autoimmune response in CSF is found in a number of other diseases, so the test is not specific for MS. Therefore, a spinal tap by itself cannot confirm or rule out a diagnosis of MS. It must be part of the total picture that takes into account other diagnostic procedures such as evoked potentials and magnetic resonance imaging (MRI).